The Super Shroud™ team will attend the wireless infrastructure show in Orlando, Florida May 22-25. See our demo model in action! Try our ROI Calculator to see how much you could be saving each year in maintenance and service costs. We’ll be able to answer your questions. The Super Shroud™ team was overwhelmed by the interest at NATE 2017. 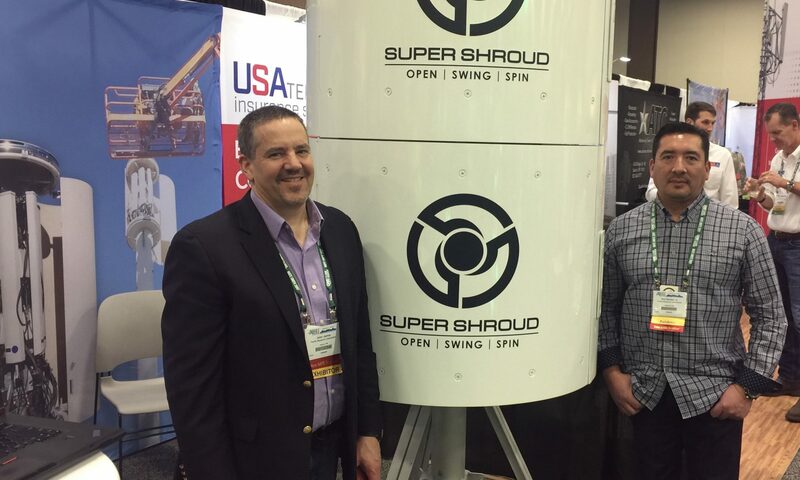 The booth was overflowing with customers interested in our Super Shroud technology. With a focus on safety at NATE, this wasn’t a surprise. SuperShroud may be the safest concealment shroud on the market. 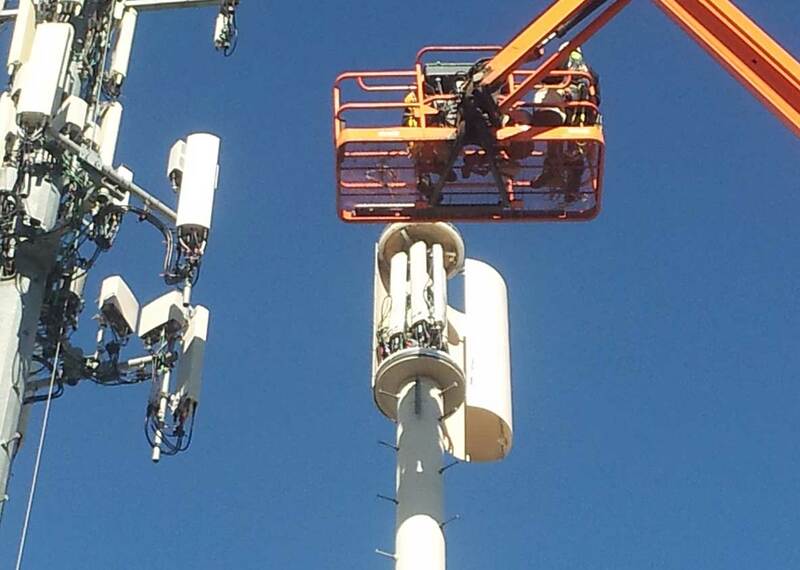 Crown Castle, the nation’s largest provider of shared wireless infrastructure has installed their first Super Shroud in Modesto, CA. We hear these stories a lot and they are what drove us to engineer Super Shroud™. 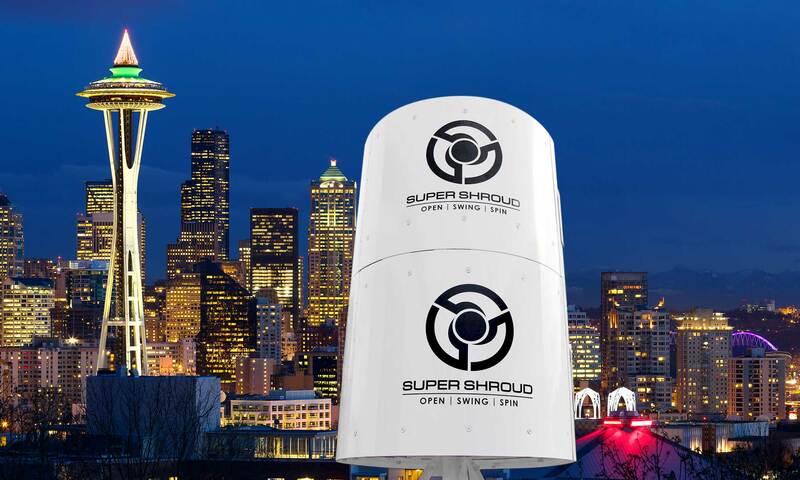 Super Shroud™ reduces the risk of cell tower shrouds falling since the shroud never needs to be removed for normal maintenance service. From the Anna Maria Islander. Michael Bazzy breathed a sigh of relief April 27 when he learned the large piece of fiberglass that fell from the Bradenton Beach cell tower landed on his property without causing any damage. Yet, Bazzy sent a brief letter that day to city hall with a photo of the panel on the ground. Super Shroud is the product of a joint venture between Pacific Research Laboratories, Inc and Communications Structure and Solutions.